As a part of our Canada to Mexico trip, we made sure to schedule an overnight stop in Hershey, PA! Greeted by Hershey Kiss streetlights and pleasant, warm, weather we made sure to make the most of our short visit to The Sweetest Place On Earth! 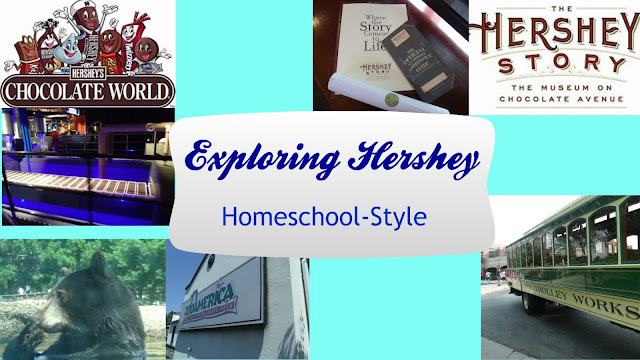 We were wrestling with whether or not we wanted to visit either Gettysburg or Hershey since we were only in the general vicinity for a short time. Since my ten-year-old son just recently did a Milton Hershey Unit Study, we opted for the latter. He was super excited and could not wait to get there! We started our visit with a 75-minute trolley ride with Hershey Trolley Works. There are several different tours you can choose from. We went on the Chocolate and History Tour which highlighted the exciting life and work of Milton Hershey. Prices vary depending on which tour you choose or if you decide to bundle several activities together then you can receive a discount. In order to get your tickets, you either can order them online or pick them up at Hershey's Chocolate World. The tour was on an old-fashioned trolley replica created from an old school bus. When you enter the trolley, you are greeted with a smile from a friendly tour guide who entertains and educates throughout your tour. Not only did we see The Milton Hershey School, the chocolate factories and the original housing for the workers of the town, we were able to drive up and see Milton and Kitty's home and the home that Milton built for his mother. I need to point out one thing about riding the trolley. Even if you purchased tickets, you still need to "check in" before you get in line for the trolley outside of Hershey's Chocolate World. Once you "check in," then you will receive wooden tokens that you need to use to get on the trolley. This is important to know because at first both my family and the family behind us tried boarding the trolley using our tickets but were told we needed to have the wooden coins. It wasn't a big deal though since we were a few minutes early, but if you were to arrive with only a minute or so to spare, you might not have enough time to turn in your tickets for tokens. After the trolley, we went inside for the Hershey's Chocolate Tour. The line was long, but for a free ride, what do you expect? I remember riding this ride as a kid and had certain images in my mind of what it was like. I even took my kids on this ride about eight years ago when we went to Hershey Park and at that time it was still similar to my childhood memories. Now, times certainly are changing! Though some aspects are the same, much of the tour has been updated. Rather than having screens on the walls explaining everything there are screens on each car of the ride with a lady explaining everything as you go through. Many digital elements have been added as well, including Hershey Kiss holograms and images taken from visitors social media posts highlighted on the wall at the end of the ride. After a good night's rest and a scrumptious hot breakfast at a local hotel, we started out the next day by visiting ZooAmerica. The zoo highlights animals found in Canada, the States and Mexico. This was particularly awesome because there were certain birds and reptiles that we saw last time in Mexico and Louisiana that we were unsure about, so when we saw them at the zoo it was neat to learn about them. If you want to visit the zoo in Hershey you can either purchase tickets at the zoo or you can receive admission with your Hershey Park pass if you enter through the park. We chose not to go the Hershey Park this visit so we planned for two hours in the morning to visit the zoo. I appreciated how much shade the park had and the vast amount of resting stops and benches. With kids and with me carrying a baby in a wrap it is nice to get a break once in a while. I saw several people with strollers and they didn't seem to have any trouble with the stroller but I prefer to use a wrap when I can. It is seemingly less cumbersome. My kids are budding photographers so they loved all the photo ops that the zoo had to offer. Their favorite, by far, were the bald eagles. I was a fan of the bears. In the afternoon, we finished our visit in Hershey with a visit to The Hershey Story Museum. If you are in the area, you do not want to miss this gem. I wasn't really sure what to expect but I was pleasantly surprised not only with how kid-friendly it was but how entertaining it was for adults as well. For only $3 extra, your child can do the Apprentice Program which is geared towards school-aged children. My eight, ten and eleven year olds had a blast with it. They receive an Apprentice Guide that they carry with them throughout the museum. There are different clues, questions and facts that they need to find and write down as they tour the museum. As they work on the guide, different museum workers placed at different stations throughout the museum stamp it for them. At the end, they receive a gold coin. The coin is then good for an opportunity to created a newspaper printout with their photo and info on it. My kids like a good challenge so having to complete their guides as we went through the museum was exciting and entertaining for them! After we finished touring the museum, we headed over to the Tastings Room! What a treat! When you go to the tastings you can go on a "flight" where you taste warm drinking chocolates from around the world. You can go on a half flight for $6 or full flight for $10. We did the full flight and were able to taste six different flavors of chocolate drinks; Hershey, Mexico, Venezuela, Ghana, Tanzania and Java. You are encouraged to start with the darker chocolate first (the most bitter) and work your way down to the lighter (sweeter). My favorite was the chocolate from Mexico! It wasn't too bitter nor was it too sweet! Overall, our visit to Hershey was educational and fun. It was a wonderful family vacation and I highly recommend taking the more educational route if you are ever in the area. 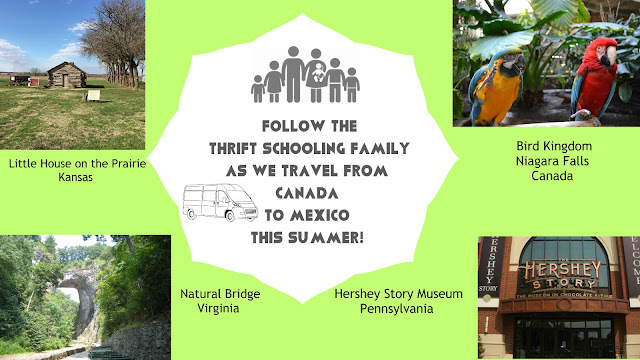 Of course Hershey Park is the main attraction but next time you plan your trip here, remember that there is SO MUCH MORE so be sure to plan accordingly! Disclaimer: I received the above in exchange for an honest review. All opinions expressed here are my own.